October 23, 2009 – The SEC and CFTC have filed civil actions against David F. Merrick and his Trader’s International Return Network ( TIRN ), and Merrick’s other corporate shells, most of them registered in Florida. 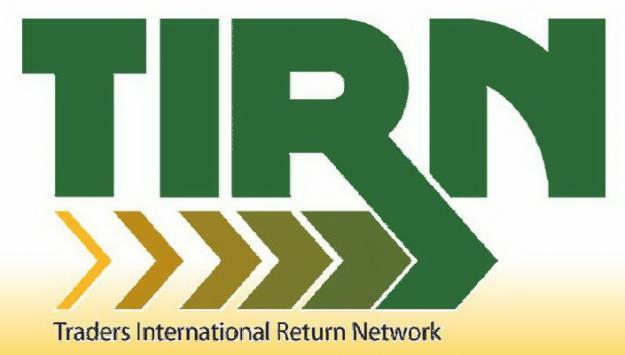 The government alleges that Merrick and TIRN operated a $22 million Ponzi scheme, raising money from thousands of unsuspecting investors. It is alleged that Merrick, 61, organized a group of “finders” who earned commissions by soliciting potential new investors touting TIRN”s double-digit monthly returns on investment in foreign currencies, real estate and precious metals. It appears that little or no money was ever invested at all. Rather, Merrick diverted the money to his own use or to paying redemptions to other investors. Merrick also conducted investment seminars seeking to lure new customers in the U.S. and elsewhere, including Panama, Antigua and Punta Cana (See Youtube video below). It has been reported that Anres representatives were present at some of these seminars. Merrick had plans to export his investment club to many foreign countries, and some Spanish and Portuguese language websites are still active. One unique feature of this scam was Merrick’s use of debit cards as a vehicle for investors obtaining interest or principal from the investments. Merrick teamed up with a private Nevada corporation, Anres Technologies Corporation, base in Plano, Texas, to supply the debit cards. Investors used the Anres website to transfer funds to their cards, and were charged fees for the transactions, including link up charges for use of the site. It is alleged that Merrick transferred at least $8.8 million to Anres in order to fund the cards, which appears to have been affiliated with the Palm Desert National Bank, a California bank with branches in Palm Desert and several other California locations. Although some investors successfully used the debit card to make withdrawals, it is unclear how much was distributed using the cards. The Law Office of Keith L. Miller is currently investigating potential claims against third parties who may have assisted Mr. Merrick in his fraudulent activities. Potential targets would be banks he used to take deposits, including Bank of America and Washington Mutual Bank, and others, including Anres Technologies, who appear to have involvement and close relationships to Merrick. If you were a TIRN investor and have information or documentation, which might assist in this investigation, you are urged to contact attorney Keith L. Miller by telephone at (617) 523-5803 or sending a confidential email by Clicking Here.